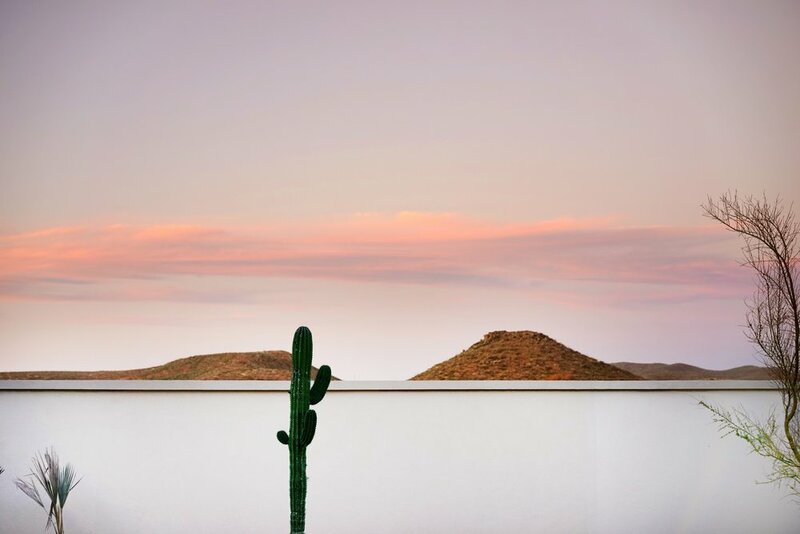 Todos Santos is a laid-back, artsy beach town in México, now home to the new boutique Hotel San Cristóbal Baja , created by the hip hotelier Liz Lambert. The new intimate property is tastefully decorated and designed with a minimal beachy vibe, reminiscent of a laid-back Baja in the 70s. The hotel, designed by renowned Texas architecture firm Lake Flato, consists of 32 rooms and suites located around a central pool. Each room is different, where you can enjoy ocean or mountain views, spacious outdoor patios or shaded lounges. The interiors feature Guatemalan fabrics and unique Mexican ceramic and light fixtures, along with custom-designed furniture by Guadalajara designers, and premium mattresses handcrafted by Cocomat, made of coconut fibers, cactus and seaweed. Some bathrooms include an outdoor shower (for me, this is always the best part of a summer destination! ), hand-painted traditional Mexican porcelain accessories, and bath products from Malin + Goetz. And I am specially in love their branding, so 70's, it captures perfectly the vibes of the place. Hotel San Cristóbal supports the local culture by inviting the guests to enjoy the outdoor surroundings and exploring the town, and has a list of wellness and ecological offerings that you cannot miss. You can immerse yourself in the local culture by taking surfing classes run by locals, deep sea fishing excrusions, local volunteer opportunities, hiking trails, and on-property yoga overlooking the ocean, among others. Benno is the hotel's seafront restaurant, served by Mexican chef Edgar Palau and the outstanding Austin Chef Lou Lambert. Inspired by the flavors of Baja with a Mediterranean taste, the menu offers fresh locally caught fish, seasoned with spices and flavors of the traditional Mexican, Mediterranean and Asian cuisine. There is also the Pool bar, offering fresh smoothies, fruits and juices, and beach food: fresh ceviche, salads and sandwiches. The hotel also counts with a little shop with carefully selected artisan goods, home objects, apparel, beachwear, jewelry and unique gifts for the travelers to take back home. 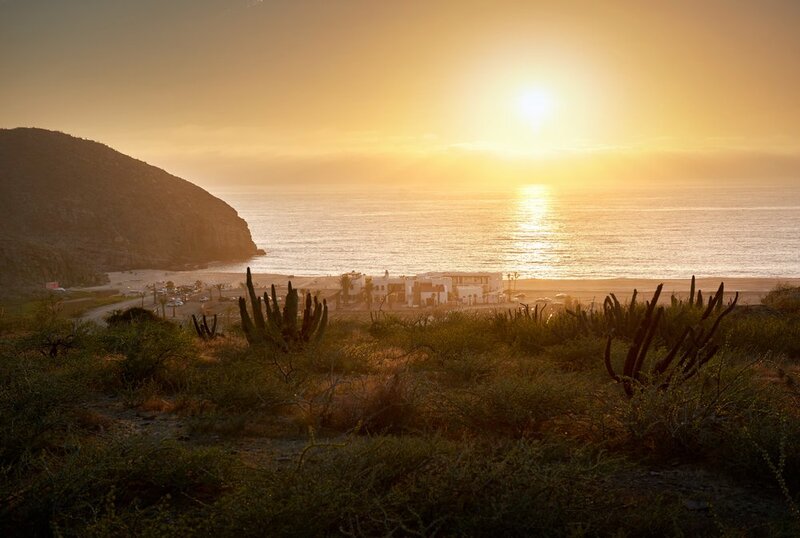 Inmerse in their peaceful, modern, relaxing yet adventurous atmosphere, relax by the pool, get to know the locals, and explore Todos Santos which, according to the New York Times, is one of its top 50 travel destinations... you'll never want to leave this heavenly place. It certainly is one the top 3 in my bucket list. Prices: Rooms start at $285/night. You can make a reservation here. Photos courtesy of BunkHouse , taken by Pia Riverola, Nick Simonite, Allison V. Smith, & Francisco Peña.